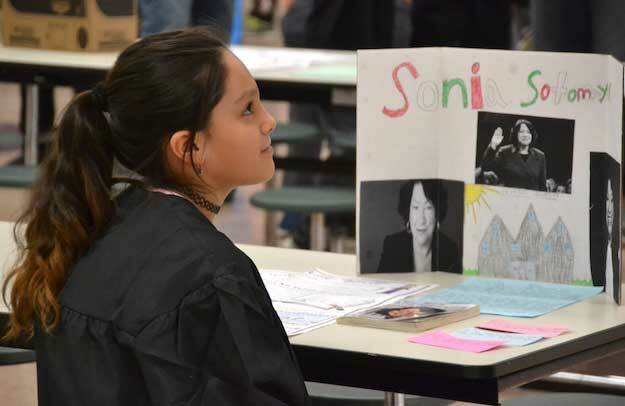 ALBION – Brianna Trejo portrays Supreme Court Justice Sonia Sotomayor during a living wax museum at the Ronald L. Sodoma Elementary School today. Sotomayor was confirmed as Supreme Court justice in August 2009. She is the first Hispanic and Latina justice eon the nation’s highest court. Students in Cheryl Rightmyer’s and Shani Faraci’s classes did the presentations on about 40 famous people, most of them esteemed Americans. There were a few people portrayed from outside the U.S., including King Tut, Queen Elizabeth, Shakespeare, Anne Frank, Jesus and some others. 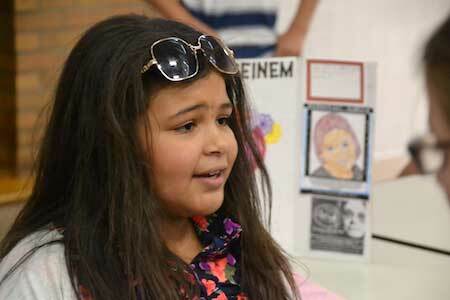 The students also helped make their costumes and brought along props to highlight their character. The students would sit still almost like statues. After someone pressed a button, the students came to life and portrayed an influential person, either in the past or present. 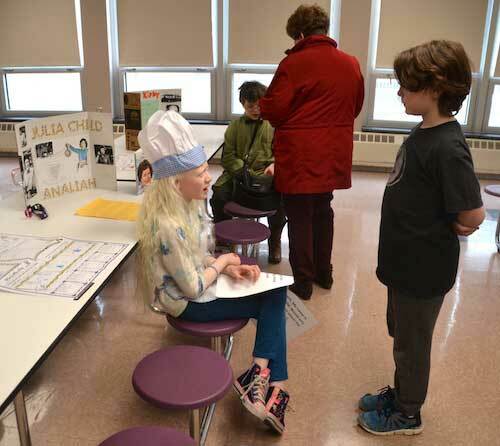 This is the first year the fourth-graders have tried the wax museum. 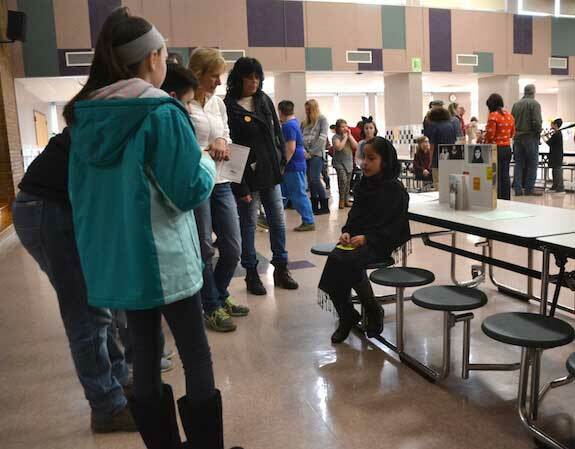 Cheryl Rightmyer, one of the teachers, said she was impressed with the students, how they took on the roles of the characters and built their confidence in delivering a public presentation. 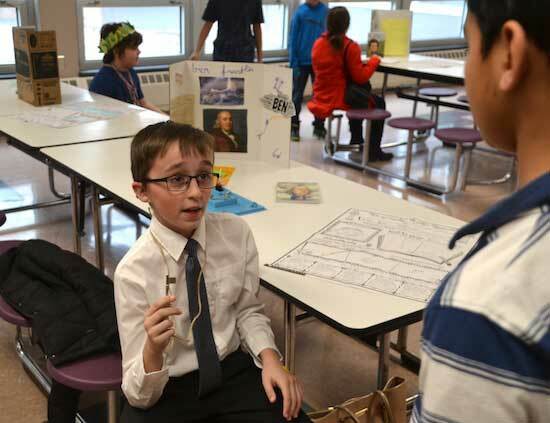 Nicholas Luft is Benjamin Franklin, one of the Founding Fathers of the United States. Franklin was a leading author, politician, inventor, civic activist and statesman. As a scientist, he made many discoveries and theories regarding electricity. As an inventor, he is known for the lightning rod, bifocals and the Franklin stove. 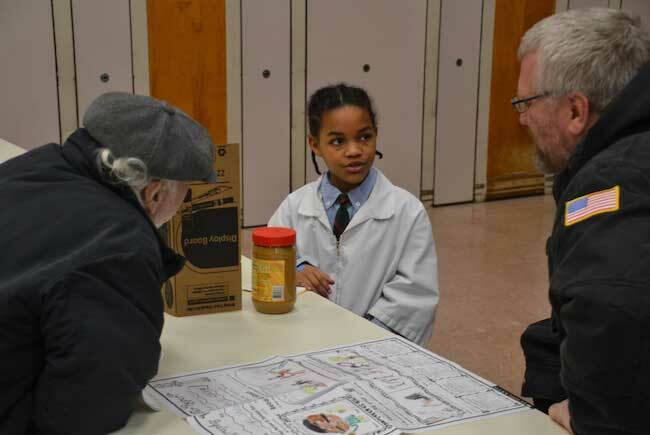 Brittany Lewis portrays George Washington Carver, an American agricultural scientist and inventor who is best known for his work with peanuts. While a professor at Tuskegee Institute, Carver developed techniques to improve soils depleted by repeated plantings of cotton. He wanted poor farmers to grow alternative crops, such as peanuts and sweet potatoes, as a source of their own food and to improve their quality of life. 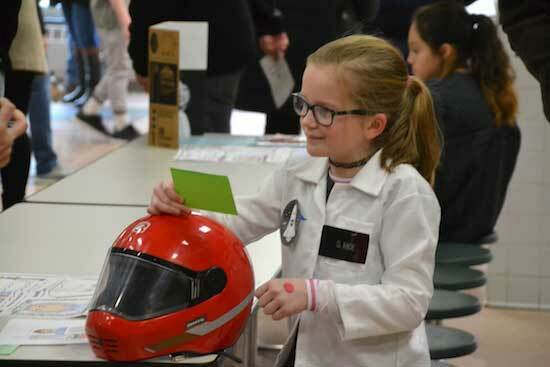 Loralei Gailie is Sally Ride, an astronaut, physicist and engineer. She joined NASA in 1978 and became the first American woman in space in 1983. Albion parents, school staff and teachers gather round Yaritza Fernandez Perez to hear her portray Malala Yousafzai, a Pakistani activist for female education and the youngest Nobel Prize laureate. Analiah Figueroa Fuentes picked Julia Child, an American chef, author and television personality. She is recognized for bringing French cuisine to the American public with her cookbook and television programs. Kamryn Simmons is Gloria Steinem, a feminist, journalist and political activist. She became a nationally recognized leader for the American feminist movement in the late 1960s and early 1970s.